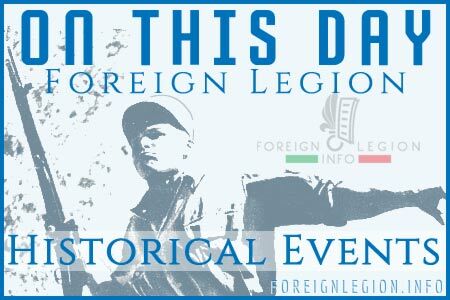 The 40th Dump Truck Company (40e CCB) was a Foreign Legion engineering unit constituted in France in 1945. 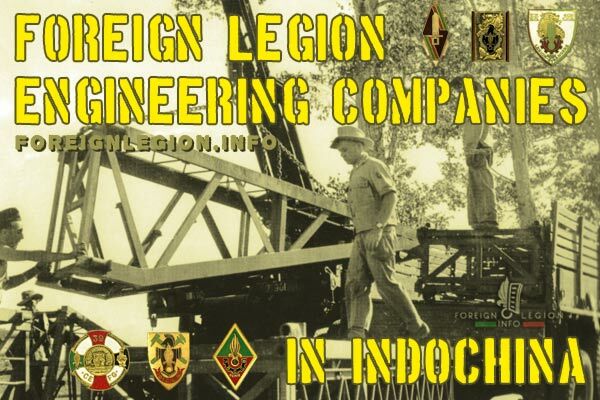 The company is supposed to be the very first engineering unit of the Legion formed after the end of WWII. 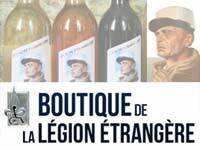 The main purpose of this company was to support French troops during the First Indochina War (1946-54). It was providing transportation of building materials and supplies by truck. It was also carrying out river crossings by pontoon bridges. The 40e CCB was dissolved in 1955. 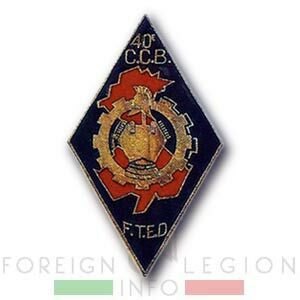 The first insignia of 40e CCB, created in 1947, most likely by Captain Liesenfelt. 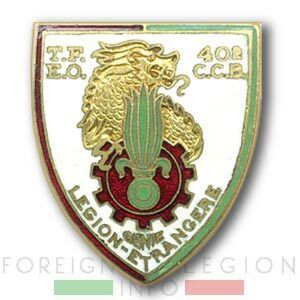 A cogged wheel (symbolizing French engineer transportation units) in red & green colors, the Legion’s colors, is held by an Asian dragon representing French Indochina. 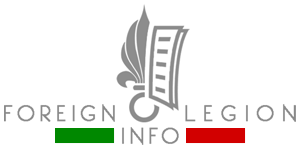 The insignia bears the seven-flame grenade of the Legion and a GENIE LEGION inscription (Legion Engineers in French). The insignia of Folding Boat Platoon, 40e CCB. 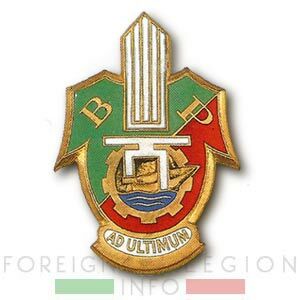 The insignia was created after 1948. It has a shape of a breastplate (the symbol of French engineering units) made in the Legion’s green & red colors. It bears the seven-flame grenade of the Legion, a cogged wheel with a boat inside, and the latin motto AD ULTIMUM (Until the End). 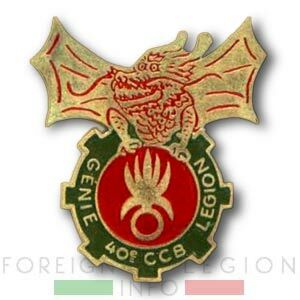 The second insignia of 40e CCB, created by Captain Marconnet in 1951. 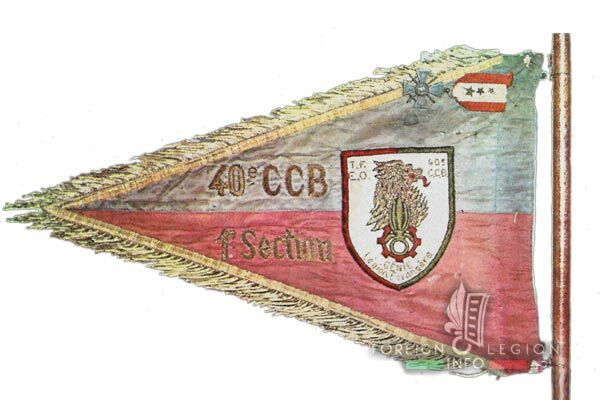 The fanion of 40e CCB. 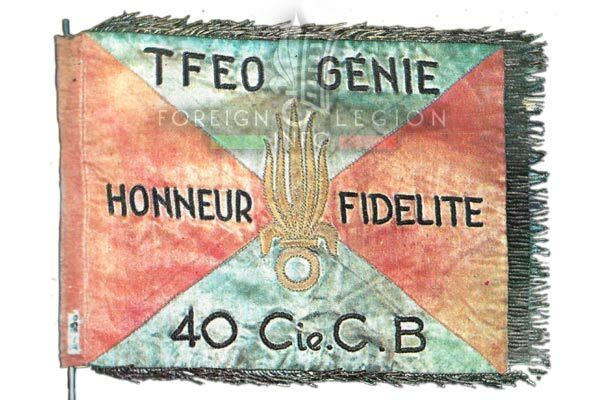 It bears the Legion’s motto Honor & Fidelity, and a TFEO GENIE (Far East French Troops’ Engineers) inscription. The fanion of Folding Boat Platoon, 40e CCB in 1953. Besides the 40e CCB’s second insignia, it bears the 1st PLATOON inscription and the War Cross with three stars, representing the mentions in dispatches in the order of the Expeditionary Forces from 1946 (when the platoon served within the 1re CEMSG), and of the brigade and the Army from 1948 and 1953. The third insignia of 40e CCB, created by Captain Devaux in 1954. At the time, the unit hadn’t already been a Legion unit. The vast majority of its personnel were local auxiliaries. The insignia is made in black, the color of French engineers, with the red shape of French Indochina. It bears the traditional symbols of French engineer & transportation units.